Nerdly » The History of Bad Ideas – Episode 224: Scrappy Doo, Paladin! 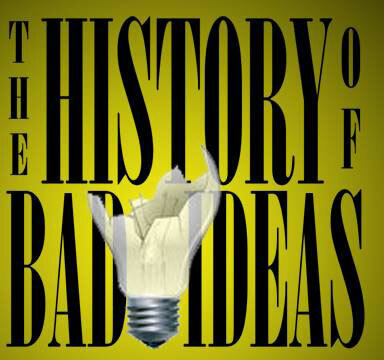 The History of Bad Ideas – Episode 224: Scrappy Doo, Paladin! Episode 224: Scrappy Doo, Paladin! The HOBI Gang is in high spirits this week as they are excited about the returning Westworld, Blake and Jason are actually positive about The Walking Dead season finale but couldn’t care less about Morgan on Fear the Walking Dead! The guys pay their respects to two legends, R Lee Ermey and Harry Anderson, with a Breath of Silence and their moods begin to sour more with George R. R. Martin’s lack of writing and the demise of Necco Wafers. The gang does perk up about Super Troopers 2 opening and Blake does his own Top Five again separate from Jeff and Jason’s Top Five Characters Crossovers We Want! This episode is sponsored by the Cincinnati Comic Expo. Don’t forget to subscribe to our podcast!